This past weekend, I visited this show (the 41st annual event). It is held on the first weekend after Labor Day, at the Hancock County 4-H Fairgrounds in Greenfield, Indiana. I have not been there in many years due to scheduling conflicts. But this year, the calendar finally had an open slot. At the show, there are three venues: an open-air covered pavilion and two indoor spaces. There were dozens of dealers, offering fossils, minerals, gemstones, jewelry, and more. 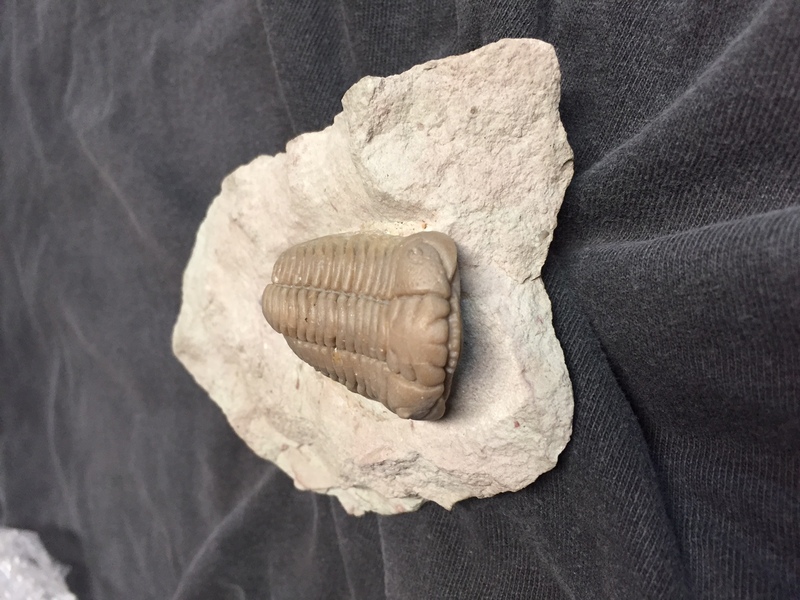 Two of the dealers offered fossils exclusively. Yes, of course I did! 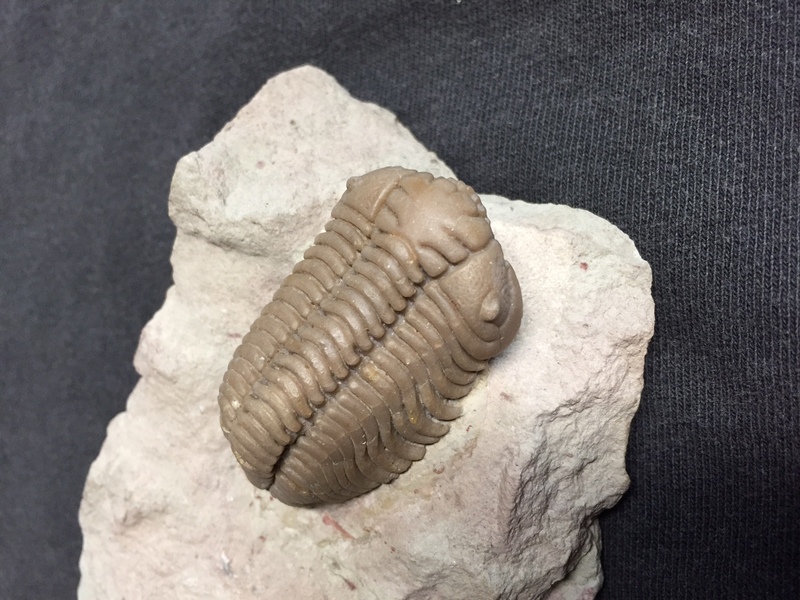 I indulged by acquiring a trilobite. It’s a Russian bug: Pliomera fischeri. This one is prone, and will go nicely with the enrolled one I already have. Figure 1. Pliomera fischeri [Ordovician, Asery Level, St. Petersburg, Russia]. Specimen is 2 1/8 inches long. Prepared by Mike Thomas. Figure 2. Front view of the specimen from Figure 1. Note the unusual lobes on the front-center of the glabella, and the small “bumps” in the preglabellar region just below these lobes. 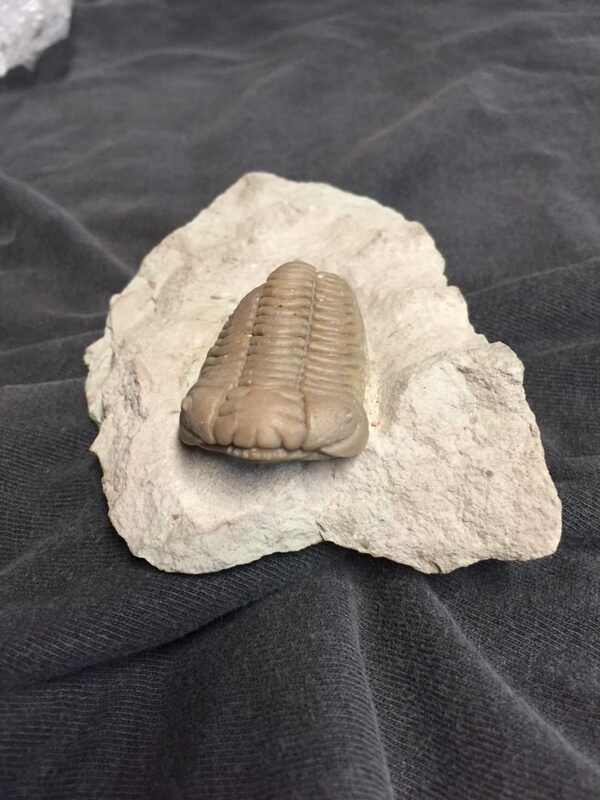 This specimen comes from a locality where dozens of trilobite species are found. Pliomera is one of the less common. The next Greenfield show is September 7-9, 2018. So put it on your calendar. I have.